Our live LSAT course gives you everything you need to crush the LSAT. It includes 160 hours of instruction (60 hours in-class plus 100 hours online), six proctored full-length exams, access to over 9000 official LSAT questions, amazing online resources, and 24/7 academic support. TestMasters has developed the ultimate LSAT system. We immerse students in our proven methodology and equip them with powerful methods and techniques. TestMasters is the only LSAT prep course that provides each student with access to all official LSAT questions released since 1991. Our faculty of over 100 instructors is the industry’s most prestigious. They have all scored in the 98th percentile or higher on an officially administered LSAT and are experts at helping others excel. 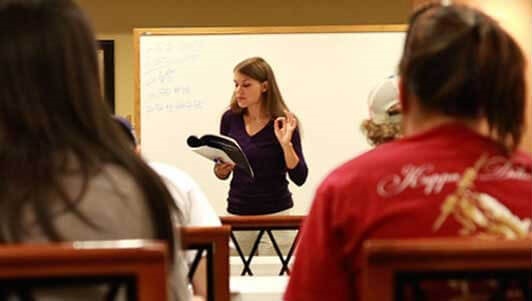 TestMasters holds LSAT prep courses in over 100 locations across the United States and Canada. You can switch to a different location at any point during the course and at no extra cost. Our vast online resources are state-of-the-art for LSAT prep. You’ll have access to thousands of written and video explanations, instantaneous practice-test scoring, and numerous other features. Our personalized support extends beyond the 160-hour curriculum. If you have academic questions or need advice on how to study, you can message us anytime and one of our instructors will respond within 24 hours.